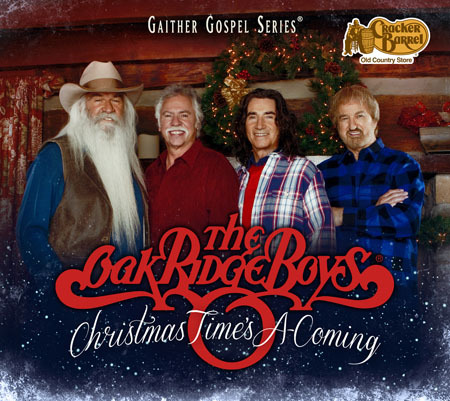 Nashville, Tenn. (September 17, 2012) – The legendary Oak Ridge Boys will be filling the holiday season with the celebrated sounds of their Christmas Time’s A-Coming CD (Gaither Gospel Series). The album is set to launch on September 25th. An exclusive version of the CD is now available at Cracker Barrel Old Country Store®, featuring two heartwarming bonus tracks that capture the meaning of the season. The masterful blend of new and traditional yuletide tunes is enhanced by the powerhouse group’s renowned four-part harmonies. 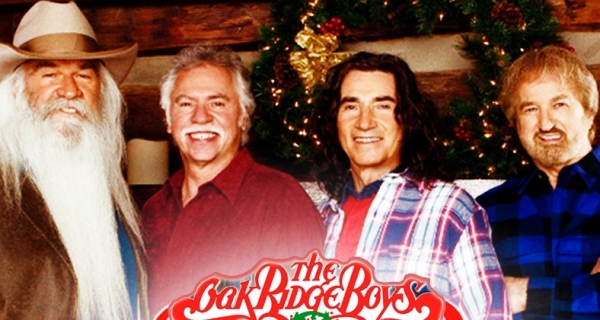 The Christmas Time’s A-Coming album marks the Oaks’ sixth holiday CD. In November, the Grammy-winning group will be kicking off its storied Christmas tour of more than 20 years. J.K. grew up surrounded by music & musicians. His cousin, Buddy Starcher was a professional recording artist on Columbia Records and was a regular performer on the then popular Midwestern & Louisiana Hayrides. He also introduced the late Keith Whitley who first appeared on Buddys weekly radio show in Charleston, West Virginia when he was 8 years old. J. K. made his own first appearance on radio at age 12 and first TV appearance at age 14. His Uncle & Grandpa performed together at churches throughout the South. That’s where J. K. made his first appearance singing in church at the ripe old age of 11. His first professional job was at age 14 when he began singing with The Pleasant Hill Quartet. A well-known gospel group at the time. Of course in his teens he had to try his hand in high school dance bands like Fire n’ Ice and The Four Aces but by age 20 he had returned to his first love country music. At that time J. K. helped form a 7 piece country rock group called ‘The Southern Express’. 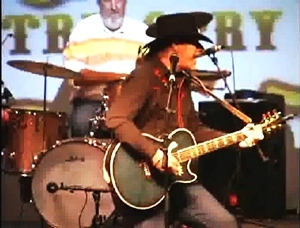 They garnered a great deal of regional success and opened for many popular groups at that time such as Pure Prairie League, The Nitty Gritty Dirt Band, Poco & The Marshall Tucker Band.In 1983 he left The Southern Express to pursue a solo career as his heart was with more traditional country music. He appeared to be taking the music business by storm as he was often the featured artist on Ernest Tubbs Midnite Jamboree and many popular Nashville nightclubs and was dubbed The Star of Tomorrow by Country Music News. He first cracked the country music charts in 1987 with a self-penned song, West Virginia You’re Still My Home on the Studio 7 label. Since then he had enjoyed a number of chart successes including being shown in the Top 40 in Europe for 41 straight weeks. He also has made many appearances on radio & TV including The Nashville Showcase, The Midnight Jamboree, Nashville On Stage, The Jerry Lewis Telethon & Stars of Tomorrow Show. J. K. has toured worldwide and worked with some of the greatest names in country music including Jerry Reed, Loretta Lynn, The Bellamy Brothers, Conway Twitty, Buck Owens, George Jones, Tammy Wynette & Jerry Lee Lewis to name just a few. 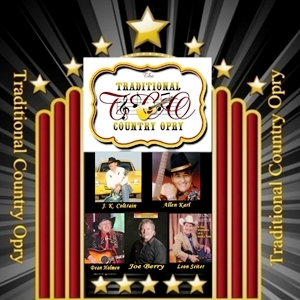 In addition to still recording and performing on his own J. K. is now helping the new up & coming young artists serving as the President of Colt Records Nashville, Chairman of The Traditional Country Opry and hosting The Country Star Showcases. 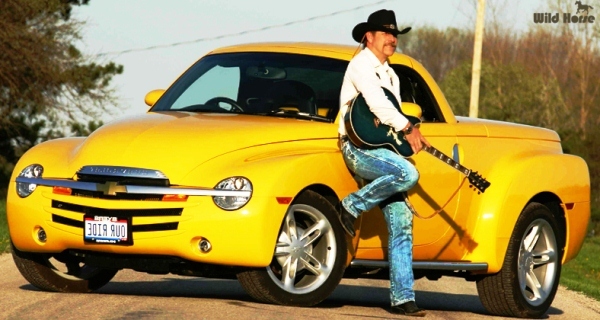 He was recently awarded The Texas CMA Entertainer and Best Country Album of The Year awards. J. K. Coltrain is a member of: Traditional Country Music Hall of Fame Country Music Association Academy of Country Music Country Legends Association Americana Music Association.In his 30 plus years of performing J. K. has remained loyal to his roots in country music and he greatly appreciates his many fans and supporters that have stuck with him through it all. Although J. K. has been performing for well over 25 years his website www.jkcoltrain.com is a never ending work in progress. So please visit JK there, as often as you can for new music, photos & news which is constantly being added. J. K. has been busy producing and working with some new artists helping to build Colt Records. He just completed work on the title track for his next CD entitled Rise & Fall of A Honky Tonk Hero. So be sure and stay tuned for more from J. K. Coltrain and be sure and watch for his appearance in your neighborhood. We guarantee it is a show that you will not soon forget. J. K. Coltrain was one of the easiest to work with entertainers we have even had. We had to ask him to do a second show. Amie Barnes – Riverfront Steamboat Festival. Great show and good time had by everyone. Hard to believe how J. K. has managed to maintain all these years through all the musical changes in country music. J. K. just keeps getting better n’ better with age. Best country act we have ever had period. Folks in Philly are still laughing and tappin’ their toes. Country music as it was meant to be played. J.K. has a real nice voice with a marvelous deep timbre. 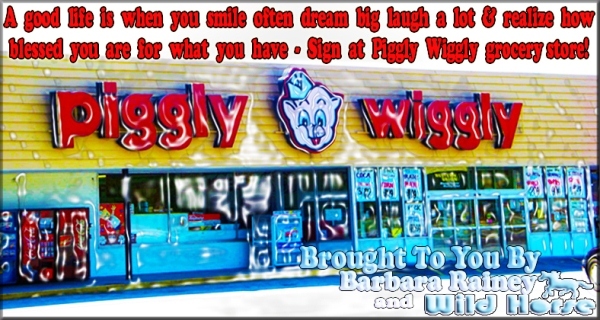 A sign at Piggly Wiggly – a grocery store! Please Pray For All Of Us! 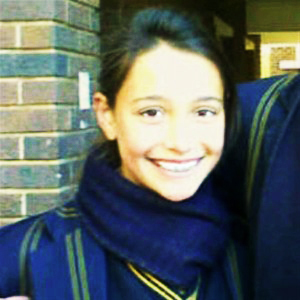 Attack on Family Shock: Alyssa Botha (13), her Father Anton (51) and older sister Megan (17) was ambushed outside their home in Muldersdrift, Johannesburg. The attackers were waiting for them, as soon as they stopped at their home, and the girls started off loading their bags, the perpetrators started shooting on them. The Mom, screams as she sees what happens. Mrs Botha, who was watching through the window as her family was being shot at, was screaming in terror. Alyssa was shot in the abdomen, her sister shot in both her legs and their father in the abdomen. Alyssa was critical, and although paramedics were trying to save, her, their two-hour effort was unsuccessful. The Residents of Muldersdrift are understandably upset as they say that they feel they are under siege these days. There have been so many attacks, gunshots and thefts in the last few months, and it feels like they are living in a war zone. A day after a school teacher, Annemarie Birk (41) from Ermelo celebrated her 41st birthday; her throat was slit in her home. 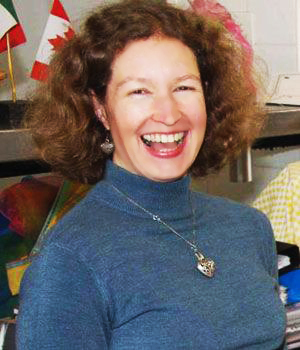 Annamarie had just closed the gate for her husband who went to work at about 7:15am, when her murderer(s) who were hiding on the property attacked her. There seemed to be signs of a fierce struggled whereupon she was stabbed five times in the stomach and her throat was slit. She managed to phone her husband, after the murders left her for dead, but he could only hear her gurgle on the phone. He rushed back home to find his wife dead in a pool of blood. 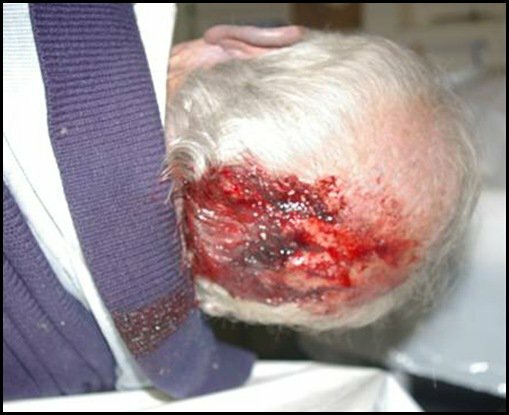 6 6-Year-Old Man Killed With His Own Shovel: A 66-Year-old man and his wife were attacked on their smallholdings in Brits the past week. The couple was attacked inside their home. The man tried to fight them off, to protect his wife. She managed to lock herself in the bathroom. Afterwards she said that the men attacked her husband like a pack of dogs. They dragged him to the sitting room, where they bashed him to death with his own shovel. They got away with weapons in a safe. 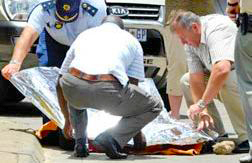 Women Shot Dead For a Handbag: Daleen Henning (51) was shot dead the past week in front of their business in Boksburg, Johannesburg. The black boys, tried to grab her handbag, but she to resisted them. They then shot her two times in the upper body. Grabbed her bag and ran to the nearest informal settlement across the street where they dissapeared between the homes. 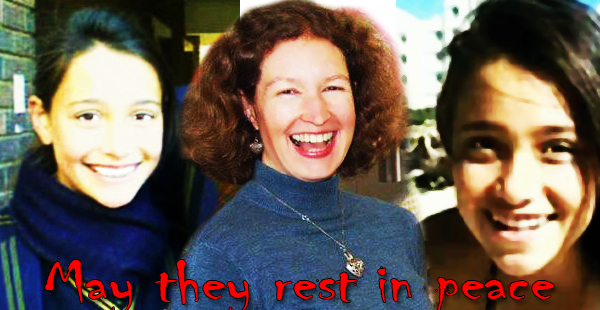 Dalleen died in the street where she was shot for the contents of her handbag which apparantly had nothing valuable in it, but was found empty. In most countries where genocide is not in place the robbers would have grabbed the back and perhaps beaten the woman a little and run off. In South Africa the white must die. no matter what. Why Would We Be Surprised In Anyway? Why would we be surprised in anyway? The killings of our white people have been motivated since 1994 already. Even worse now with people like Julius Malema. A Fan page dedicated to the previous ANCYL leader; does not make any secret’s of the black people’s intent to kill white South Africans. I quote from a comment “You f–ing white pigs. Malema is our leader. He will kill Zuma within the next 6 weeks,” Thato Mbateti wrote on the Facebook fan page, which had more than 12,000 supporters. The alleged Malema supporter then went on to graphically call for the “taking back” of “stolen” land and the murder of Whites in South Africa. 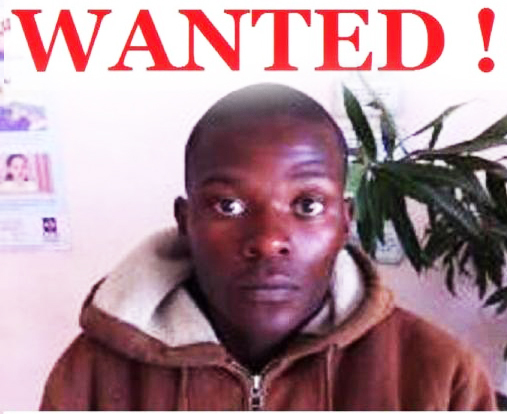 Wanted in Connection With Recent Murders on White People! 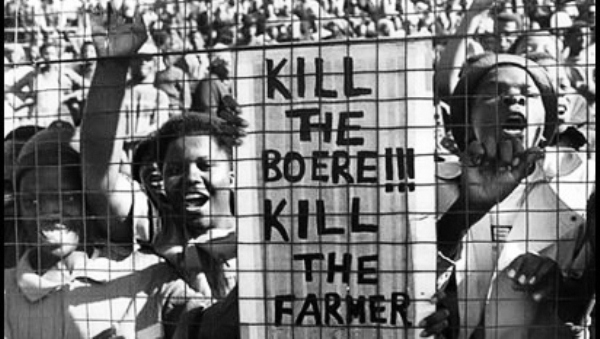 “3000 farmers dead since ’94 … we lost more than that … we r far from being even … So kill da Boer, kill da farmer,” Thato Mbateti Mbateti wrote. The ANC Government of South Africa is not interested in protecting white people. This country has become a slaughterhouse, where white people’s blood is colouring the ground red. 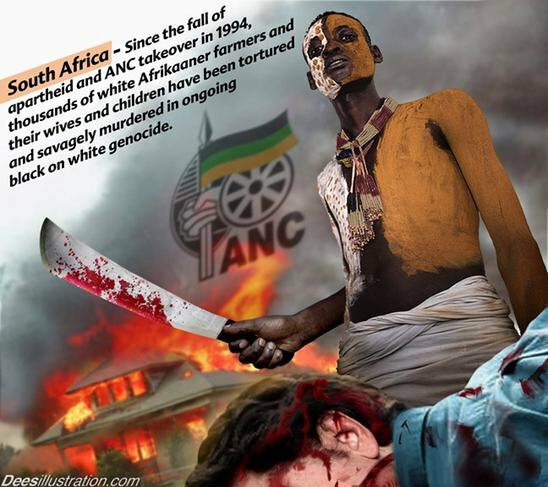 The blood of innocent white South Africans are on the hands of the Government. 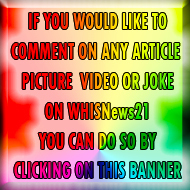 This article has been supplied by Trifter.com who brings the marvels of the world to your monitor. We publish articles on the biggest travel destinations and the smallest unexplored points of interest.